he specializes in industrial, land, and investment properties. of over 12 million square feet of facilities, and an excess of 600 acres of land sales. the U.S., Mexico, Costa Rica, Nicaragua, El Salvador, and South Africa. 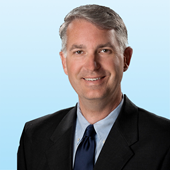 Andy is a Senior Vice President at Colliers International with over 14 years of experience in commercial real estate. Andy specializes in the leasing and sale of distribution and manufacturing facilities and the development of industrial land throughout the Utah Marketplace. Andy represents both local and international companies. Andy is a detail oriented individual who prides himself on client reporting and follow up, while his expertise in financial analysis brings value added services to his clients. Andy is a member of the Society of Industrial and Office Realtors (SIOR) which is the leading global professional office and industrial real estate association. SIOR represents today's most knowledgeable, experienced, and successful commercial real estate brokerage specialists. Andy has the Certified Commercial Investment Member (CCIM) Designation, which means he has completed advanced coursework in financial and market analysis and has demonstrated extensive experience in the commercial real estate industry. CCIM designees are recognized as leading experts in commercial investment real estate. Prior to working at Colliers International, Andy worked as a broker at JLL, Newmark Grubb ACRES, and Pyramid Brokerage Company. He also spent 7 years as Principal/Owner of Penumbra, a Business Development Firm in Grand Haven, Michigan as well as 5 years as Controller and Benefit Manager for Greenville Tool & Die Company in Greenville, Michigan. 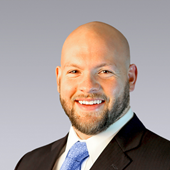 Bobby Stevens is an associate with Colliers International specializing in industrial real estate. He began his commercial real estate career in 2008 in the appraisal industry. He worked with The Fortis Group (later Integra Realty Resources) for 2 1/2 years, then went into residential and commercial construction, before starting at Cushman & Wakefield as an Analyst in 2016. He later moved into brokerage at C&W, until joining Andy Wheeler and Rusty Bollow at Colliers in 2018. As a long-term resident of Salt Lake County, he has a vast knowledge of the area and local clientele. Bobby has worked on a large variety of transactions, representing owners & landlords, as well as buyers & tenants, and developers in the market. He has helped his clients with both short and long-term needs, and has experience working with a variety of companies from specialized manufacturing to big box distribution, to Class A office/warehouse. He has helped startup companies find their first location, aided established businesses to expand or move, and assisted a multi-million-dollar national company in relocating its corporate headquarters.